A warm welcome greeted Minister of Natural Resources, Raphael Trotman, at Eversham, East Berbice-Corentyne. 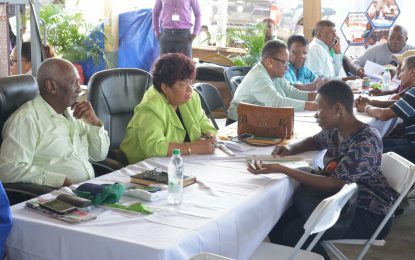 The minister met with residents of the East Berbice community, following the ‘Government comes to you” ministerial outreach, at the University of Guyana’s Tain Campus, earlier on Tuesday. At the Neighbourhood Democratic Council (NDC) building, Minister Trotman was joined by Member of Parliament for Region 6, Barbara Pilgrim. 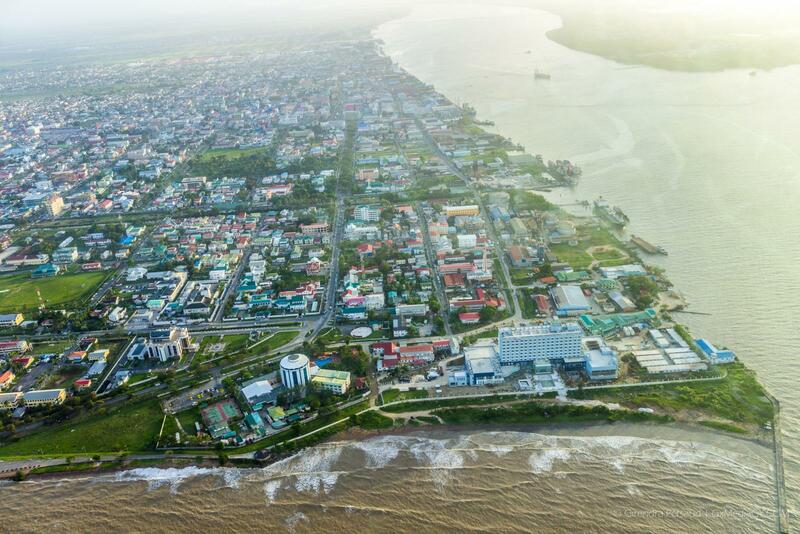 Addressing residents, the minister related that it was good to be home in Berbice, and the government was keen on serving the people of Guyana, in every region. “We are here today to hear your concerns, to get your feedback” he stated. The minister also took time to encourage residents to stay the course with the Coalition Government and make Guyana better. “We have a president who is honest, who is a statesman, a strategist, so do not be worried that he does not respond to everything that is said… one thing I’m sure of is that he always has a plan,” assured Minister Trotman. As the minister listened to concerns of residents, he heard tales of difficulty at the present Region 6, Regional Democratic Council (RDC). The RDC is currently led by opposition’s Peoples Progressive Party (PPP) councillors, who have the overall responsibility for management and administration of the region and the coordination of the activities of all Local Democratic Organs (LDO) within its boundaries. Other matters raised included threats of flooding due to a weakened sea defence, much-needed road repairs and programmes for youth development. In response, Minister Trotman assured residents that their concerns would be addressed, bearing that there were no hiccups on their parts. “We cannot rectify everything in one day, but I will look into every concern raised” noted Minister Trotman.